Inspired by experiences from acclaimed writer Kat Woods’s own past, Killymuck is an insightful, hard-hitting one-woman play revealing the everyday humour and evergrowing hardships of life during the troubles in Killymuck (an Irish housing estate built on a paupers graveyard in the 1970s). The production is currently playing at The Bunker Theatre in partnership with Monsay Whitney’s Box Clever. We chatted with Kat about the healing power of writing, her frustration at the “class ceiling” and how she avoids falling “down a Google rabbit hole”. Hi Kat. Killymuck is inspired by events in your own history. Did you find writing about your past especially challenging? Herstory, perhaps, would be the more accurate word! When I first began to write Killymuck it felt like I had pierced my flesh with a sharp object and bled all over the pages. Leaving a gaping wound. Exposing deep layers of angry visceral pain. But like all flesh wounds, you begin to heal. It becomes a cathartic experience, especially if that is something that is reciprocated with the audience. Thematically the play itself has a universality that can only be achieved through lived experience. The ability to laugh and cry at what life throws at us is how we collectively heal as a community. Do you recall the first story you ever wrote? What motivated you at that time? My mum always tells a story of how I would come in after being outside all day as a kid and relay the whole craic that had happened in the park or up at my tree fort for her in the kitchen. My main motivation at the time was to make her laugh. The protagonist of your story is Naimh, played by Aoife Lennon. How did you meet? Why did you think she was the ideal match for this deeply personal one-woman production? I met Aoife back in 2004 at Uni in Derry where we both studied a Drama degree. I directed her in a really horrendous version of Patrick Marber’s Closer – I even had to do the set changes and each night we were on I did them wrong! Aoife finally forgave my awful directing choices and I cast her in a piece that I wrote called Mule. I knew she would be perfect for this; Aoife is a fantastic actress and collaborator. I guess she is a muse of sorts (without the weirdness that the patriarchy has attached to that word!). How did the shared set and double-bill idea at the Bunker with Box Clever by Monsay Whitney come together? That is actually all down to the genius of Chris Sonnex, The Bunker’s artistic director. I sent him Killymuck to read and we had a few phone calls and – bish bash bosh – he sprinkled his magic and created something utterly epic. There is a current debate about elitism within the theatre; what are your thoughts on this topic? The theatre industry is without a doubt an elitist institution. I think the important question is: What are theatre spaces actually doing to break down the class ceiling? We know it is a middle-class playground. I am tired of hearing this rhetoric. We need to action some solutions instead of constantly reading 500-word tokenistic articles highlighting that classism is an issue in various arts publications. The very arts publications that talk about it but don’t seem to come to support the work when it is produced. Your play Wasted ran in New York. What were some of the highlights from that experience? Will Merrick and Serena Jennings asked me to write about consent at the end of 2014 after they had seen Belfast Boy. We had a meeting and even though there was roughly a ten-year age gap we had similar experiences. So Wasted was born. We transferred to New York in 2015 after the Edinburgh Fringe and just before the #MeToo movement really took off. There was a feeling in the audience that this was the start of something, something bigger then we could have imagined. We were invited back to America with it last year and toured to college campuses and theatres in Connecticut, Baltimore and Washington DC. It is currently on tour in Northern Ireland. Do you listen to music when you write? If so, do you have a go-to playlist? It depends what I am writing. The Cranberries get the odd blast but I actually find it really distracting. If I listen to my playlists on shuffle and something comes on that I haven’t heard in ages, I immediately fall down a Google rabbit hole in a worried frenzy in order to find out if the band or singer is financially stable and doing OK. It’s the same feeling I have knowing that they are OK as when I see the Fonz from Happy Days getting work on TV now; I’m just really happy that he has a wee job. What was the last piece of theatre, a movie or TV show that stayed with you long after the credits rolled and why was that? Emilia is possibly the greatest theatre experience I have ever had. It should be compulsory, just in general life. As a writer, who are your main artistic influences? Enda Walsh – Disco Pigs is my all-time favourite play. Last question: Do you have any inspirations or ideas already forming for your next play? My next piece, I really want to work with an animator. I’m currently writing a piece called Home Babies which is inspired by the story of the mother and baby home at Tuam in Galway. We look forward to seeing it. Thanks so much for your time, Kat. 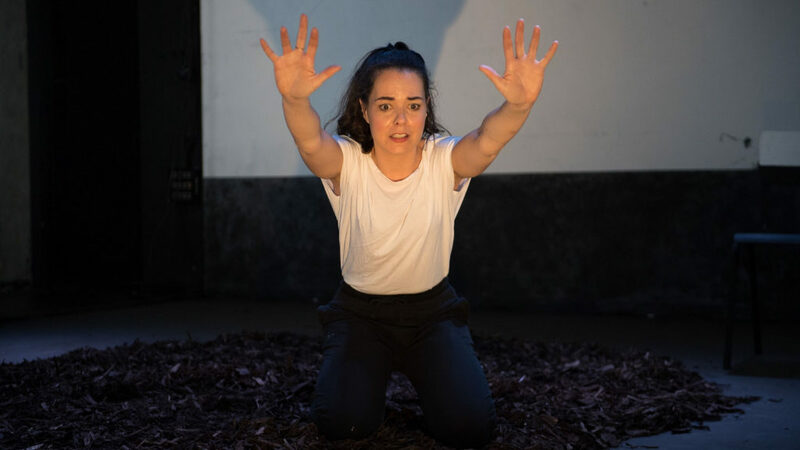 Killymuck and Box Clever are at the Bunker from 26th March until 13th April 2019. For further information or to book visit the theatre’s website here.